Note: What looks like silver paint is actually weld-through primer (the stuff I used is made by 3M and sells for about $18 per spray can). This primer contains a large amount of Zinc giving it a silver color. Do not use regular paint in the area you are welding in. It will bubble and make the weld very weak and very nasty looking. 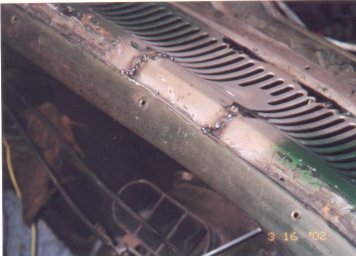 This is after the first past of welding (I have a Century 130 Wire Feed welder that I used for this). The goal here was to not worry so much about filling all of the gaps but to make sure the part is in its proper position. Prior to all of the welding you see in this picture, the part was tacked welded in. I also had to make a few adjustments to the shape of the replacement as it was being welded in place. Make sure to take your time (this shows about 2 hours of work). Once you get past the tack weld stage, it's a bunch of work to cut everything apart again. 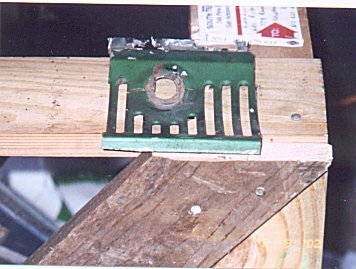 This was taken after about a half hour of grinding and a little additional welding to fill in gaps from the first pass. 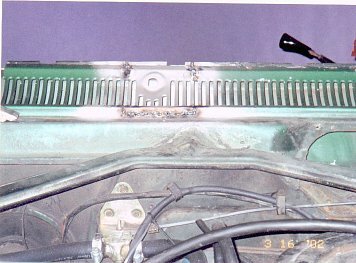 Also, the replacement cowl came from a car that had the windshield reveal molding held in place by the windshield gasket. 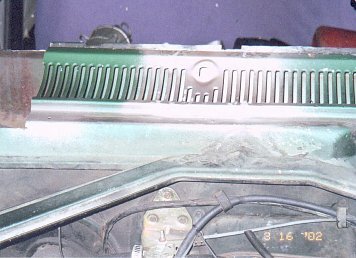 The notch in the flange was made with a metal punch. The little hole in the left corner of the flange was where a factory spot weld was at in the replacement part. This was filled in later. A different view of the work at the same stage as the second picture. You can see how well the weld through primer holds up to the heat of welding. 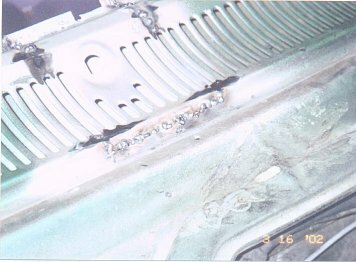 It's only discolored within a quarter inch of the weld. I also did a little hammer and dolly work to close the gap between the flanges on the firewall and replacement part. These were then plug welded together using existing holes. Here's the patch after another hour of grinding. It's a little hard to see but more grinding is needed at the bottom of the patch. The only reason it's primered at this point is to offer some protection while I took a break. Here's the patch panel at the end of the rough-in stage and an additional hour and a half of grinding. The camera is hiding a mess of flaws I'll fix during the finishing stage. 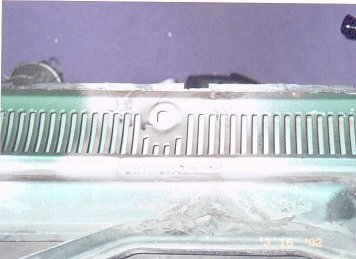 Notice, however, that the spacing in the slots for the cowl vents is dead-on and the body lines are lined up perfectly. Up Next: The welding is finished!